I'm extremely excited to tell you that I have been asked to be a Visiting Artist on the Gingersnap Creations Blog for the Month of May! Thank you Sharon Briss for inviting me to create alongside you and your talented team. The Theme for the month of May is "The Wild, Wild, West! The first week's theme is Cowboys/Cowgirls! What a perfect excuse to bring this guy back! I changed up the colors when I colored him up this time, but he still remains HOT, don't you think? 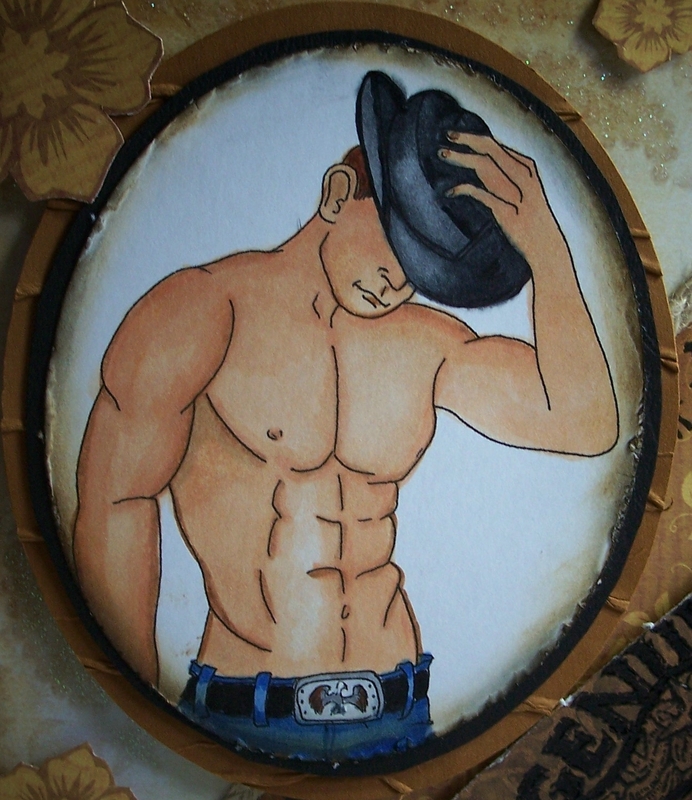 Cowboy Digi by Victoria Case. Papers are from the Rustic Stack from DCWV. The corner stamp is from Stampin' Up. I used some antique brads in the corner and cut flowers form the paper as embellishments. Distressed the edges of the oval that the image is stamped on and used Vintage photo distress ink around the edge. The border of shadowed cowboys on horses is stamped diagonally. Braided twine runs along the edge of the two papers used as a background. Started with a black faux leather card stock. Would love to have you join us for this challenge. Visit the Gingersnap Creations Blogsite for some wonderful inspiration and full details. Well...this is a wonderful way to start my Wednesday morning! I LOVE your card Sue! Congrats on being a guest on the DT! oooooo yessssssss sue he is hottttttttt, gorgeous card. Wowser! 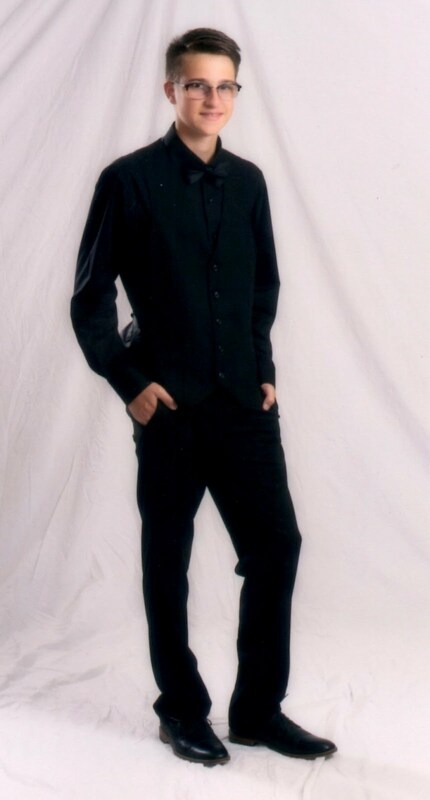 Can I have a cowboy like that? I'd like to order the .Human format of this stamp. So nice! Love the card too! HUBBA HUBBA... love your card Sue... excited to work with you this month at Gingersnap. Congrats !!! What a cowboy! This is such a fab card. 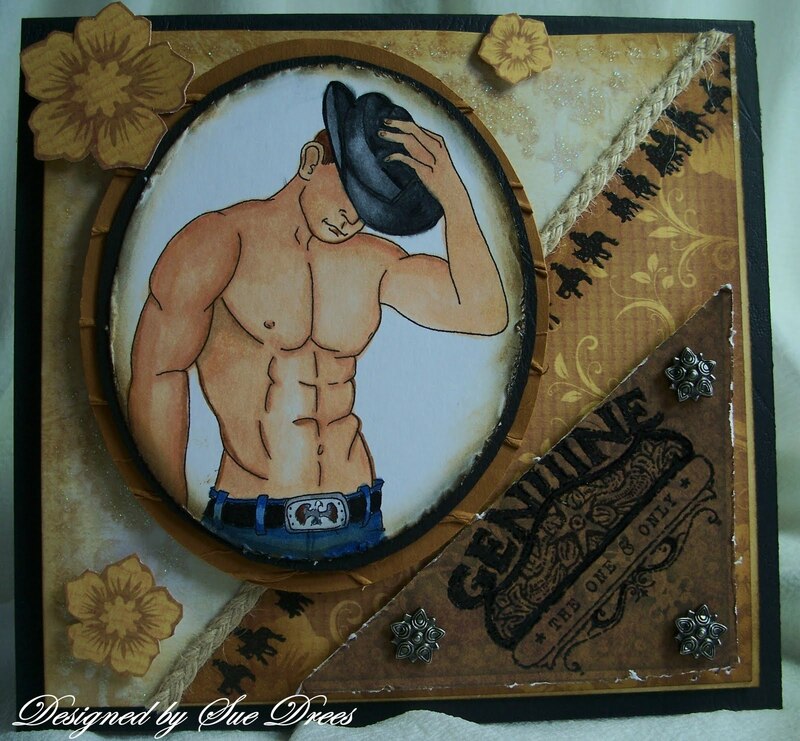 I've gotta say this is quite a clever use of some of the stamps in your collection--beautifully assembled--and yes, that is one hot cowboy! Well, yee-haw . . . Awesome card, Sue! Great take on the challenge! Love your background and your cowboy sure is hot stuff! Thanks for the smile on my face. Great piece.